Life is characterised by movement, change and development, including transitions, losses and grief. People experiencing loss must learn to accommodate it and, sometimes, relearn new roles. Whether the offender is accommodating general loss (such as transition), the loss of others or facing their own impending death, the bereavement process can become a particularly complicated experience for those involved in the criminal justice system. Criminal offenders may be excluded from participating in grief rituals and may receive few explicit opportunities to talk about a loss they’ve experienced, sometimes resulting in disenfranchised grief. Informing thinking around assessment, care, and support procedures, this volume seeks to bring together a range of perspectives from different disciplines on crucial issues surrounding the impact of loss, death, dying and bereavement for criminal offenders. The book will explore inherent challenges and responses to the criminal justice system by considering to what extent offenders’ loss, death, dying and bereavement experiences have been - or should be - recognised in policy and practice. The first section considers theoretical approaches to loss; the next section translates these issues using professional perspectives to explore practical applications; and the final section introduces an offender perspective. 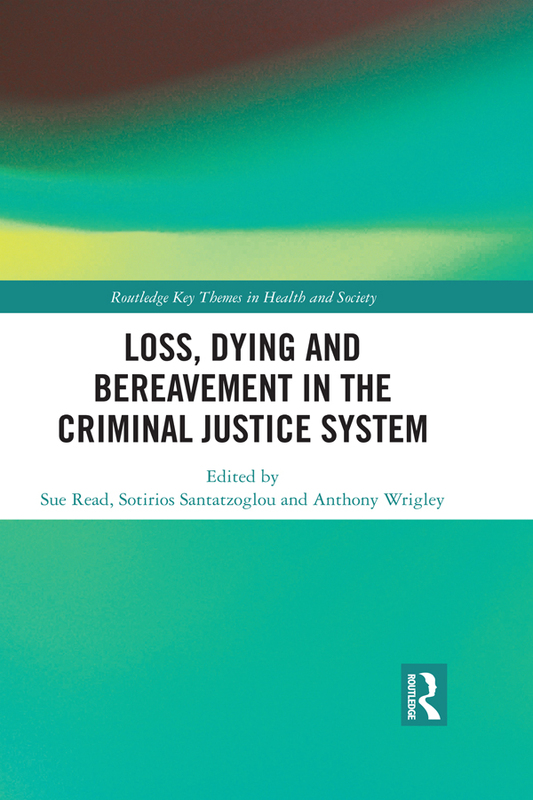 Through identifying challenges and consolidating evidence, this multidisciplinary book will interest researchers interested in loss and bereavement in vulnerable communities, concepts of disenfranchised grief, end-of-life care and mental healthcare in the criminal justice system.